The Praed Street that accommodates the Paddington Station is also home for the Great Western Hotel. It was constructed between 1851 and 1854 and it overlooks the majestic station. Philip Charles Hardwick, Philip Hardwick’s son was the architect that designed the hotel. Between 1906 and 1915, the station building was enlarged with the addition of a 4th span. This is similar to the other 3 spans, but it features different detailing. In 1922, the Paddington Station became home to a memorial erected to commemorate the GWR employees who died in the World War I. Viscount Churchill unveiled the monument. The memorial is made of bronze and it is the representation of a soldier who reads a letter. Nowadays, the memorial is placed on platform 1. Its sculptor and designer was Charles Sargeant Jagger. 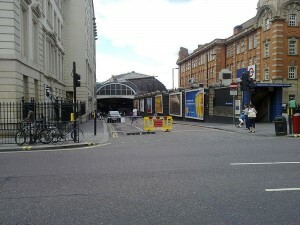 Recently, a new structure designed by Brunel was found near the station. It is a bridge made of cast – iron linking the Paddington Arm with Bishop’s Bridge Road. It was covered in brick cladding after the adjacent bridge was replaced. In order to get rail transport from London Luton Airport to London Paddington Station, you have to take the train to King’s Cross St Pancras and then use the Underground service to get to Paddington. From there, all you have to do is walk to London Paddington Station. There are also other transfer options such as using a transfer service from London Luton Airport or King’s Cross St Pancras to London Paddington Station. So as to travel by car from London Luton Airport to London Paddington Station, you must use the M1 motorway. London Luton Airport is 31.6 miles away from London Paddington Station. A journey by transfer from London Luton Airport to London Paddington Station with 247 Luton Airport Transfer is going to last almost 1 hour and 5 minutes. The price for a transfer service from London Luton Airport to London Paddington Station starts from 49 GBP.